Join us on June 8, 2019 to celebrate Mystic Museum of Art’s annual premier event. 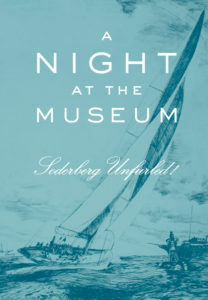 With distinctive paintings by local artist Y. E. Sodeberg displayed throughout the Museum, this night will be one you will never forget. Great food, dancing, and decor await you this evening. We will also have special surprises throughout the evening. Each ticket costs $175 unless you are a sponsor (see below.) Please contact Events Coordinator Melissa Baker to register for the event or to become a sponsor.